to strike the ideal balance between safety and ergonomic design. The result is attractive and practical packages which are easy to be placed on stands, supporting your store’s sales. 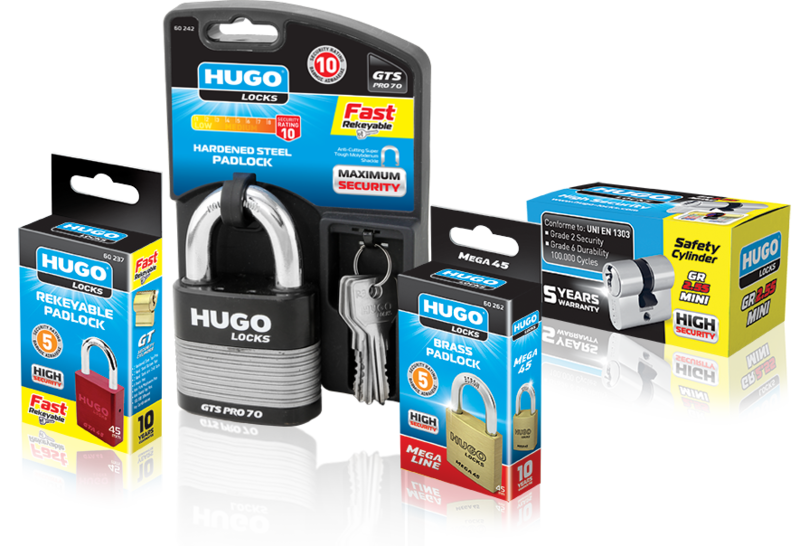 HUGO LOCKS packaging adds convenience in the distribution process and plays an important role in securing product safety during transportation.